Bond gets a new gun in Dr. No. A Walther PPK that was billed as being in Dr. No apparently has been withdrawn from auction. The listing for the gun now says, “This lot is no longer available.” The full listing had been online as late as Wednesday afternoon. The firearm was listed as having been owned by actor Bernard Lee and used in the scene where Bond is told to start using the PPK. The story went that the crew needed a gun and Lee provided his. The firearm “was gifted to the vendor,” according to original listing. 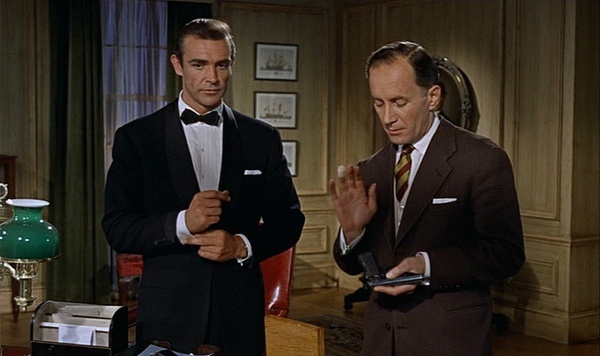 Attentive 007 fans noted that the film used the Walther PP, rather than the PPK, in the first James Bond films. The listing had referenced that but still said the PPK being auctioned was legitimate.